Send someone this vibrant mixture of opulent orange and zesty pink flowers casually arranged in a clear glass cube container. It's a perfectly delightful way to express what's on your mind. 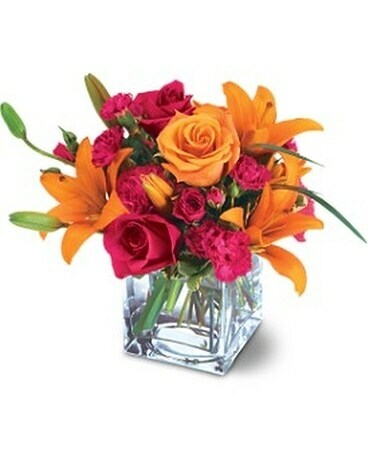 A casual design of orange asiatic lilies and roses with hot pink carnations and roses.